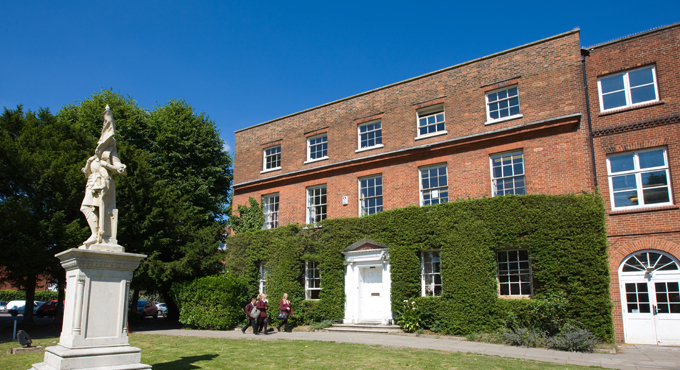 The school aims to provide the correct blend of academic challenge, spiritual development and enrichment that allows for the holistic development of each pupil in its care and to provide a secure environment in which every pupil is recognised as a unique individual, each with their own special gifts and talents and aims not to limit but to liberate their potential. The whole thrust of the school community is that of a community built on Gospel values. Everyone involved in the school contributes in some way to the creation of a Christian community where God is present. The self-esteem of pupils is valued as respect for ourselves, others and the environment are fundamental to the Christian way of life at the school. The care and guidance offered by the staff provides an ethos that will allow each pupil to become the special person God intended them to be. The Pupil Premium is an additional grant allocated to all schools by the Government to support the raising of attainment of pupils eligible for free school meals. The Government has given the school the freedom to spend the grant in the way that it thinks will best support the raising of attainment of pupils’ eligible for free school meals and to choose the areas where it will have the most impact. Concern exists nationally that those pupils who are eligible for free school meals do not make as much progress as other pupils. The school aims to ensure that every pupil performs to the best of their ability and that resources are appropriately allocated to enable this aim to be achieved. The school is using these funds to ensure that these pupils are motivated to succeed, are engaged in their learning, that they develop a positive self-esteem and level of confidence, that they develop the necessary skills and achieve the necessary academic qualifications to enable them to either stay in education or to go on to appropriate training or work after their GCSEs. Outcomes for these pupils are monitored through school tracking, progress reports and exam results to ensure that their needs are being met and that this additional funding is having a positive impact.